Enhance your skill set and upgrade your standing in the bodywork community with this advanced course in the treatment of lower body pain problems and entrapment issues. This course comes with DVDs, textbook, and manual. As a special bonus, you’ll also receive instant access to the online eCourse for free (reg. $249). 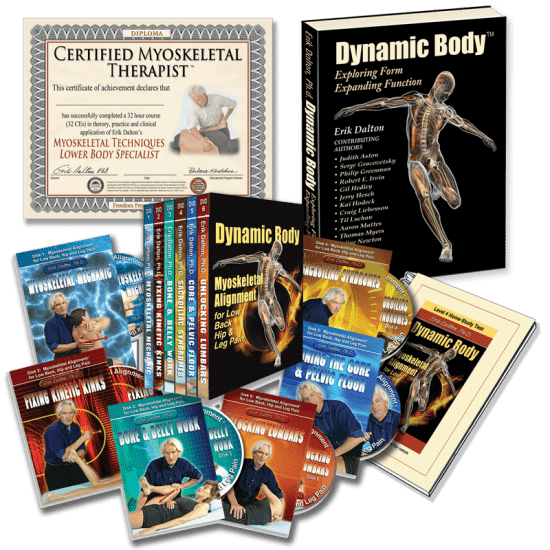 Upon purchase, you’ll be sent the 9-piece “Dynamic Body” Low Back, Hips & Legs package, which includes DVDs, textbook and manual. As a bonus for purchasing the home study course, you’ll instantly receive access to all course material on our online learning platform.